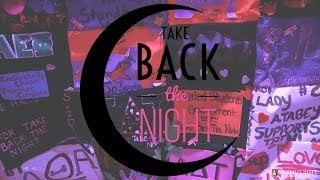 The Anne Frank Project first spread its message of tolerance to audiences on the Buffalo State campus in 2009. Every year since, the conference has expanded to include more speakers and performers who have addressed such topics as genocide, hatred, and social justice. Last year, approximately 4,500 people attended the multitude of offerings that comprised "Our Shared Humanity: Looking Inward." This year’s conference, which supports the theme "Embracing Responsibility," is expanding further. It lasts four days instead of the three from past years, beginning Wednesday, September 12, and running through Saturday, September 15. "We realize that the community is not necessarily on an academic schedule, and we want people outside of Buffalo State on our campus," said Anne Frank Project director Drew Kahn (pictured), a Buffalo State theater professor who founded the conference. The entire conference is free and open to the public. Kahn expects more than 5,000 people to attend. 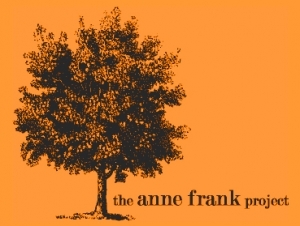 Because the call for proposals went nationwide, some presenters hail from others states, along with a few who will be telecasting from Rwanda, to make the Anne Frank Project a truly international event. Also new this year, each day of the conference a different visiting scholar will give a 9:00 a.m. keynote address. The speakers are Carl Wilkens, a humanitarian aid worker who refused to leave Rwanda during the genocide (September 12, in Warren Enters Theater); James Waller, Cohen endowed chair of Holocaust and Genocide Studies at Keene State College (September 13 in the Flexible Theatre); Eva Hassett, executive director of the International Institute of Buffalo (September 14 in the Flexible Theatre); and Jeffrey Kahn, deputy director for policy and administration at John Hopkins University Berman Institute of Bioethics (September 15, Flexible Theatre). The mix of speakers and performers includes Buffalo State faculty, staff, and students across a wide swath of disciplines. Additionally, Joseph White from the U.S. Holocaust Museum and Hilary Edy-Stipleman the Anne Frank Center-USA, both national experts in genocide, tolerance, and Holocaust studies, are among the visitors who will create a prestigious national palette. "It’s pretty rare to have a junior anthropology major presenting next to an elite genocide scholar," Kahn said. "This has been a dream of mine for several years. And now it’s a reality." When the Walls Comes Down—Truth! Eve Everette, a 2009 Buffalo State alumna who played the lead role in the 2006 performance of the Diary of Anne Frank, will present original poetry that revolves around embracing responsibility and having the courage to take action to see tangible change. 11:00 a.m. September 12 in Warren Enters Theater, Upton Hall. Everette facilitates CommUnity builds with the National Federation of Just Communities. She also works as an adjunct professor in the Theater Department. This two-part presentation is a culmination of students’ research on mimetic desire and scapegoating. The first part is at 3:00 p.m. and the second is at 5:00 p.m. September 13 in Warren Enters Theater. The sessions will be led by Catherine Mettille, an alumna of Buffalo State’s graduate English program, a literacy educator, and award-winning textile artist who created a Holocaust quilt for the 50th anniversary remembrance of the Holocaust in Chicago. Harold L. Cohen was trained in the Bauhaus tradition of art and design. After his retirement as Dean of the School of Architecture and Planning at the State University of New York at Buffalo, he turned to his love of art and printmaking and opened his studio in downtown Buffalo. Cohen will speak from 11:00 a.m. to 12:30 p.m. September 14 in the Czurles-Nelson Gallery. On view as part of the Anne Frank Project, Cohen's exhibition of prints and paintings spans the topics of the Holocaust, Darfur, social manifestations of inhumanity such as homophobia, and cruelty in general. Drypoints, etchings, collagraphs, wood engravings, and linocuts will are included in Cohen's exhibit. This original play by theater student Cindy Delaney examines the effects of hatred, bullying, hate crimes, suicide, tolerance and acceptance on three young gay males and their families. It will be followed by "Labels and Bullying," an experimental activity meant to provide insight into bullying’s effects. The session will conclude with a talk by the Rodemeyer family of Williamsville, who tragically lost their son and brother, Jamey, to a suicide after years of bullying. 6:30-9:00 p.m. September 14 in Warren Enters Theater. This year, participants have the opportunity to download a free mobile app that provides details about the conference, including the schedule, speaker bios, things to do in Buffalo, as well as place to leave comments on the sessions. Titled AFP 2012, the app is available in all platforms: Apple, Droid, and Blackberry. To access the desktop version, go to http://m.core-apps.com/afproject2012. "The metaphor of putting the conference in the hands of our students is real and intentional," Kahn said. "i don’t ever want this to be a tired old conference. I want it to be owned by the faculty, staff, and students of Buffalo State."